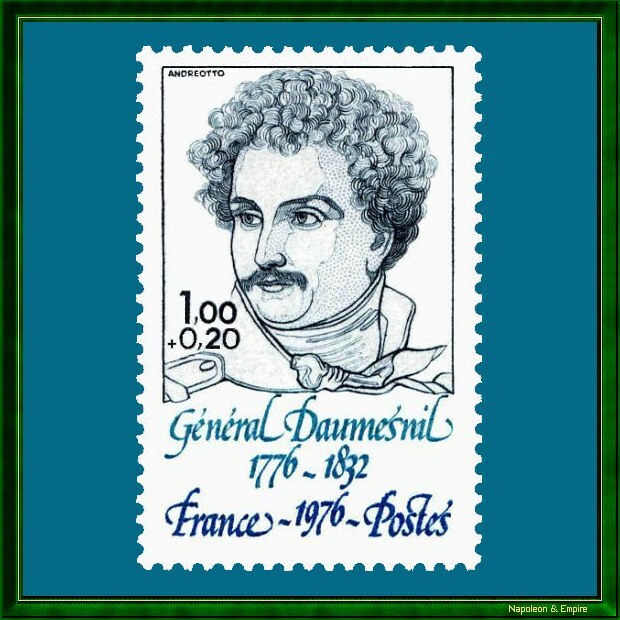 Stamp issued in 1976 for the bicentennial of the birth of general Yrieix Pierre Daumesnil (1776 -1832). Drawing and engraving are the work of Claude Andréotto. It was issued 3 000 000 d'copies of this stamp from September 1976 to March 1977. This website has been designed for a screen resolution of 1280 x 800 pixels. Last update: 2017-10-13 20:58:42.